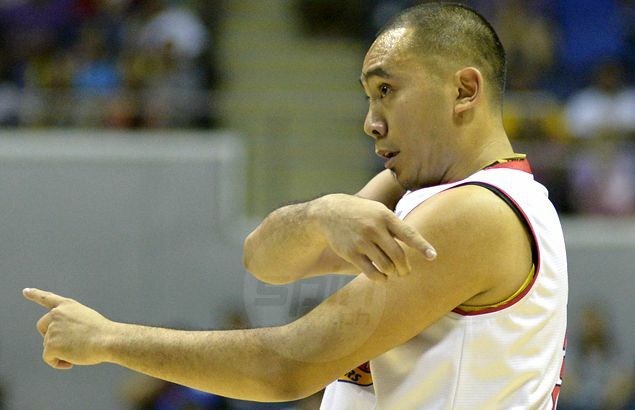 WITH knee issues now well behind him, combo guard Paul Lee recaptured his old form to lead Rain or Shine back to the PBA Commissioner’s Cup Finals. The six-foot guard out of the University of the East banged in 18 points, issued five assists and added two rebounds in Rain or Shine’s 124-99 rout of San Miguel Beer on the way to a 3-1 semifinal series victory. Lee’s vintage performance earned him his first Accel-PBA Press Corps Player of the Week for the conference as he beat Alaska forward Calvin Abueva for the period of April 25-May 1. The former PBA Rookie of the Year, who averaged just 3.0 points in the quarterfinals against Tropang TNT, underscored his readiness to reassume his role as the team’s top gun. Lee’ was relegated to the role of back-up during his first 10 games this conference behind young guards Jericho Cruz and Maverick Ahanmishi as he recovered from a knee injury. He was back to his old, deadly self on Sunday. “Hindi lang naman ako, pero yung buong team talagang binuhos lahat para makuha yung panalo,” said Lee after the E-Painters booked a fourth Finals trip over the last three seasons. The Elasto Painters lost to Tropang TNT in Game 7 of last season’s Commissioner’s Cup Finals, but Lee and the rest of the Elasto Painters hope they could finally complete their mission this time and end a four-year PBA title drought. Rain or Shine won its only PBA championship during the 2012 Governors Cup, beating B-Meg (now Star), 4-3 in the Finals.